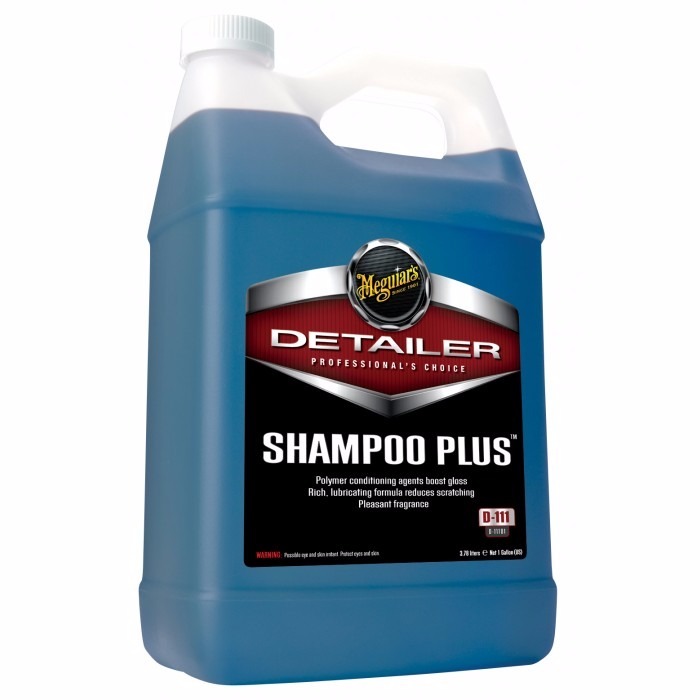 Shampoo Plus by Meguiars has a lubricating formula with luxury foam which mildly cleans and conditions even the most delicate surfaces with no scratches. It is a biodegradable product which gives high gloss to car surfaces. Its dilution ratio is 128 parts water to 1 part product. Shampoo developed for maintaining cars which received mirror finish, with no ingredients in its formula which may attack or remove wax. It is the perfect choice for car washing.